Where to stay in Kaikoura on a budget? Kaikoura is the dream destination for many backpackers where all those big activities are waiting: dolphin swimming, seal swimming, whale watching cruises, whale watching flights, scuba diving and more! With that in mind, the best way to cut the costs to save for these epic activities is to stay in budget accommodation. 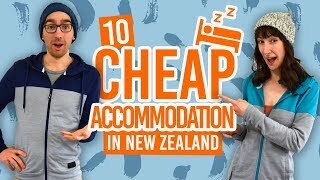 Luckily for you, there are plenty of great backpacker hostels in Kaikoura. Because Kaikoura is a popular destination, we have also included some other budget accommodation ideas in this list of Kaikoura hostels so you know all your options for a budget stay in Kaikoura. By the way, don’t miss these 10 Kaikoura Must-Dos. The largest hostel in Kaikoura has an incredible amount of space to relax after a day’s swimming with dolphins or whale watching with multiple lounges, decking spaces and even a swimming pool. From super budget dorm rooms to en-suite rooms with your own private space to family rooms, there are plenty of options. There are several equipped kitchens, as well as laundry, dining and all the other essential hostel facilities. Plus, free unlimited WiFi! Check out Dusky Lodge & Backpackers out! For a homely hostel in Kaikoura, check out the Albatross Inn. Set in a historic building, the hostel has a lot of character which is furthered by the colourful murals and vibrant garden. Stay in the liked of the “Awesome Dorm”, female dorms, twins and doubles, as well as all the expected facilities like laundry, kitchen and lounge. Plus, you’re not likely to get bored with events regularly put on by your hosts from potluck dinners to jam sessions. With not a bunk room in sight but a fantastic offering of budget private rooms, Skyhi is well worth considering if you’re travelling as a couple, with friends, or just want your own private space. This cosy hostel in the centre of Kaikoura has great communal facilities like a kitchen, lounge and laundry, with the addition of free unlimited WiFi, free cookies and a cosy garden to lounge in. For more budget accommodation options for backpackers, consider staying in a holiday park in Kaikoura. The Alpine-Pacific Holiday Park has budget cabins, which is ideal for those travelling as a couple or a group of friends. Other accommodation includes motel rooms and camping sites. Guests can make use of all the usual facilities that you would find in a hostel. 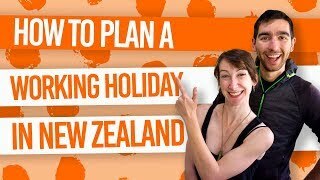 To see what facilities to expect in New Zealand holiday parks, see Accommodation Guide to Holiday Parks in New Zealand. Check Alpine-Pacific Holiday Park out! Another holiday park in Kaikoura is the Kaikoura Top 10 Holiday Park. They also offer standard cabins as their cheapest accommodation, after camping sites. However, you will have to hire bedding or bring your own. Otherwise you have a heated swimming pools, private spa pools, free WiFi and the basic kitchen, dining and laundry facilities. Check Kaikoura Top 10 out! What is a Dark Sky Reserve?